Due to high levels of stress environment in the workplace nowadays, it is very essential for you to take your time for relaxation. It was believed since years ago that massage could be a great healing method. Anxiety can cause blood pressure, heart rate, and adrenaline to increase immunity, digestion decrease. Having a massage with the back massager help you to prevent the effect of stress by causing the body to release tensions and then restored to the state of relaxation and calm. Nowadays, massage therapy is thought to be a much better form of treatment and in some cases can be used in conjunction with medication if necessary. The advantage of massage over medication is that it can offer incredible relief and can contribute to actually improving the issue that is causing the pain. Many back pain Massagers combine massage and heat to bring extraordinary pain relief to stretch and aching muscles and build a relaxed state for the people. There are numerous kinds of massage products on the market these days, some use vibration depending on the specific problem to deliver the ultimate in pain relief. If you are one of the many people who suffer from back pain then you can face many troubles in your life. The inactive lives that many of us lead sitting in front of a computer for long hours both at home and at work contribute heavily to strained and stiff muscles. Staying in the same posture for hours and hours on end can surely take its toll on your health and cause you to experience aches in the back and neck. When the back and neck aches are getting more frequent, you had better buy a back massage machine. Getting your own back massager at home means, you can get rid of your minor back and neck pains in an instant and get back to your activities for the day. 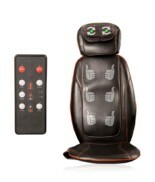 There are several features to look for in a back massager to ensure that you get suits your budget. Before you pay attention to these features, you must read about the benefits of having your own back massager. By this way, you can evaluate which are the most necessary features to look for. There are so many things to consider when purchasing an efficient back pain massager as the market now offers several choices. Be decisive about the products on display and do not be influenced by persuasive advertising. 1. Once you have read product quality and feedback, turn your attention now to the motor used in the massager. Many massagers are designed with a specific back problem in mind. 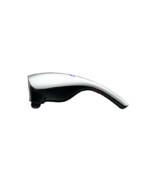 Your best work would be to select a massager that can be used on your most common problem areas. If you are not familiar with your new massager’s settings, try all of the features out and see how they work. 2. Try out the massage programs to get a feel of the different strength levels. If the gadget features detachable parts, try those out, too. 3. 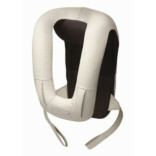 You also need to take notice two of the most vital features to look for in a neck and back massager, However, it’s always more advisable to choose one with good program ability so you won’t have a hard time operating the device. 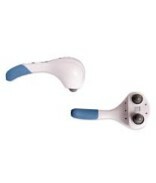 Massagers with preset options will give you full control over settings of the massage. 4. Another way to use a back pain massager is that someone else does the work. In addition, there may be places that will still not be able to achieve. Have your spouse or partner to apply pressure to the areas where they have a better angle. So maybe you can take turns massaging each other. Remember that he or she may like another variation of adjustment. Do not let back pain get you down, relieve your pain and stress with a back massager that you buy from our website. 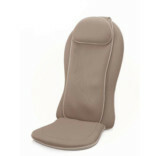 We offer high quality and affordable back massager’s suit any problem. 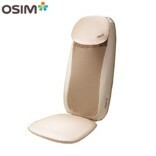 You can choose from Homedic back massagers to Shiatsu Massagers depends on your specific problem. 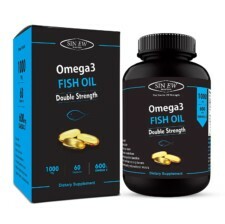 So why not let Healthgenie.com take away some of the stress today!